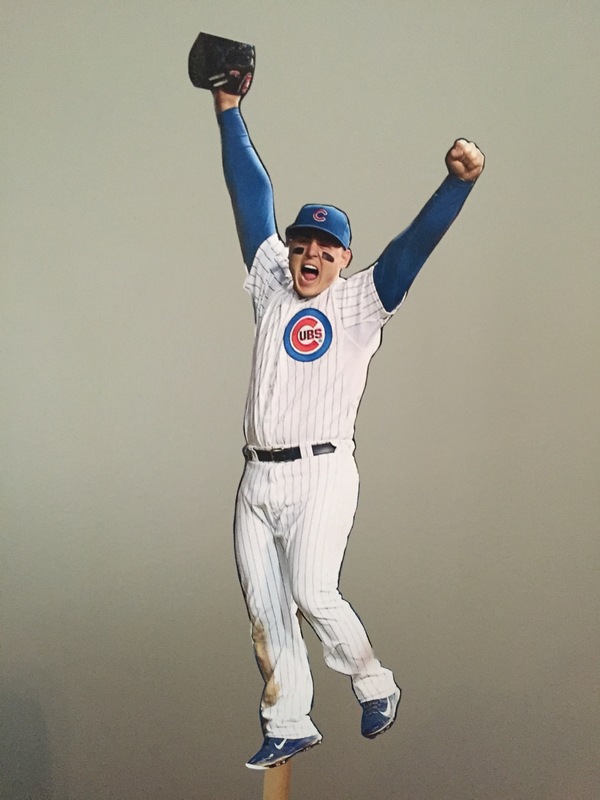 After the Cubs beat the Cardinals last week, someone tweeted a picture of first baseman Anthony Rizzo in celebration mode. 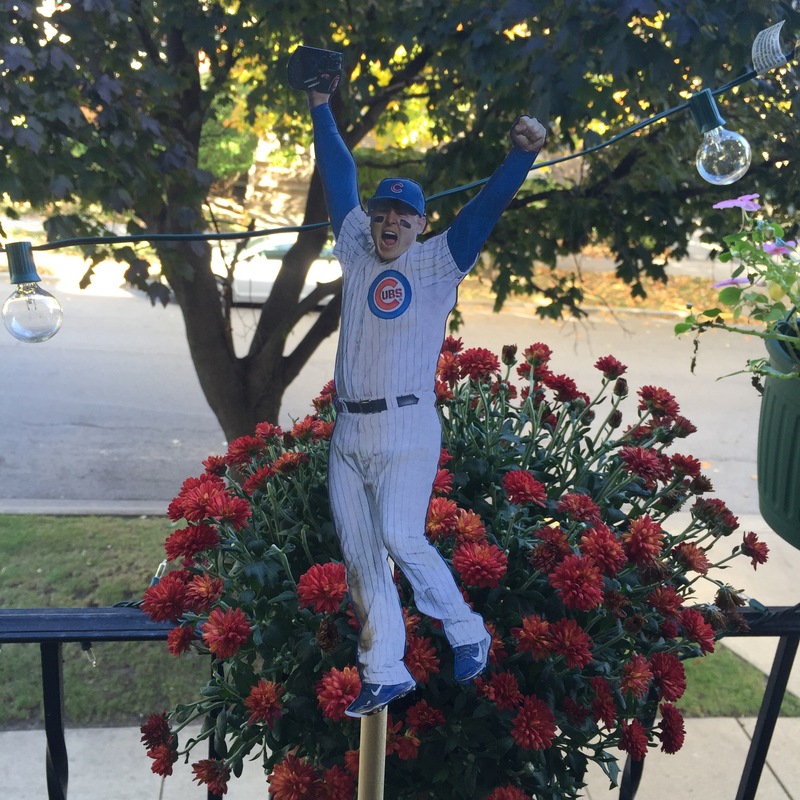 I printed the picture out (which is probably some sort of copyright violation) and cut around Rizzo and taped him to a dowel rod. 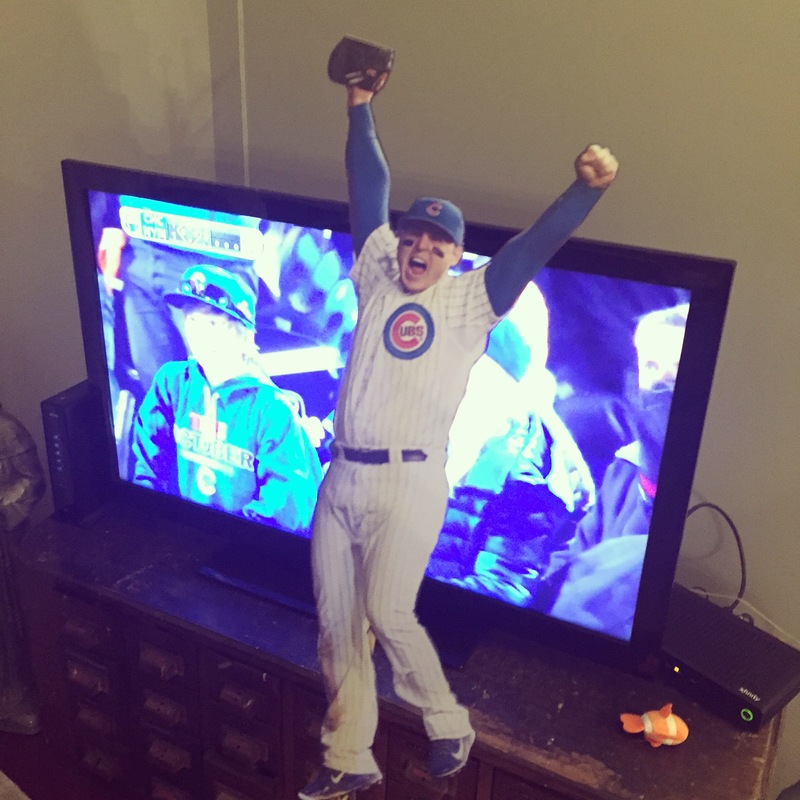 I’ve named him Flat Rizzo (like Flat Stanley but more athletic) and he’s been traveling around my living room all week, harassing the cat and watching TV. Not being in the US or sporty in the least … I don’t know who that is but … I like that you can take him around the house with you to help you celebrate your daily achievements. Might make doing the laundry, dusting etc feel more exciting!